FAIRFIELD — When veterans return home, most are greeted with gratitude and thanks. But for many, poverty and homelessness can be waiting. “War Stories: A Veterans Project” gave veterans an opportunity to speak about their experiences and shed light on a situation that affects about 39,500 former military personnel, according to the U.S. Department of Housing and Urban Development. “It’s their stories about their own lives and their challenges,” said Program Director Peter Van Heerden. 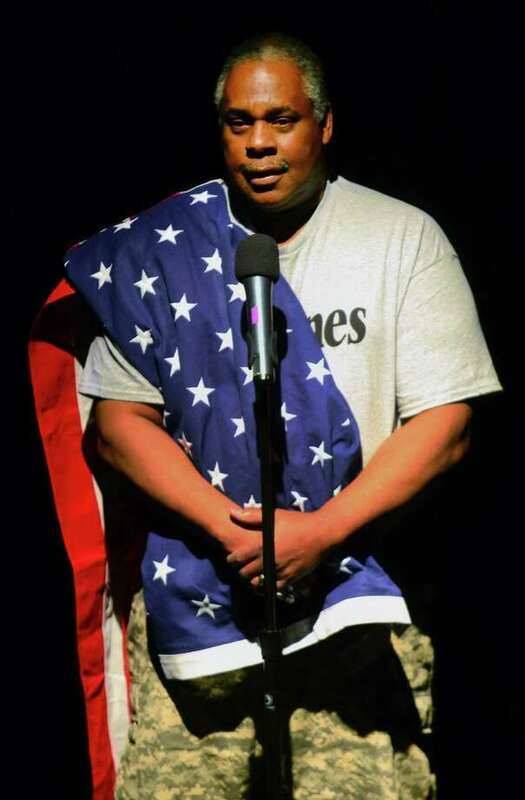 War Stories was performed March 31 and April 1 at the Quick Center for the Arts on the campus of Fairfield University. The cast of 13 men and three women took the stage in a performance that delved into each of their individual stories. All the veterans who spoke were at one time or another either homeless and living at ARBI/Homes for the Brave — or are living there now.